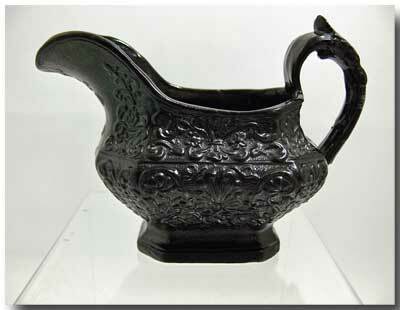 A Scottish black basalt creamer made by the Verreville Pottery in Glasgow circa 1830. Beautifully embossed sides in a fan & vine pattern. 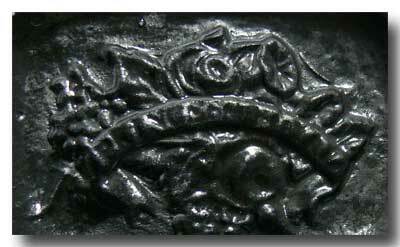 The underside bearing an embossed cartouche with the words “PRINCESS ROYAL”. 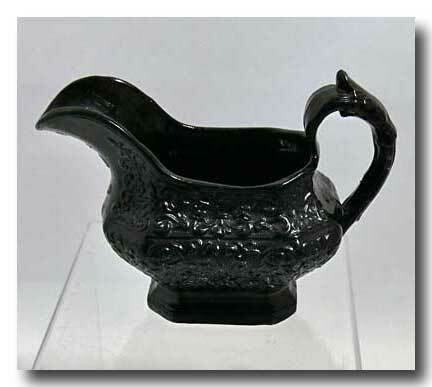 In great condition with no chips or cracks and measures approximately 4 inches high to the top of the handle.